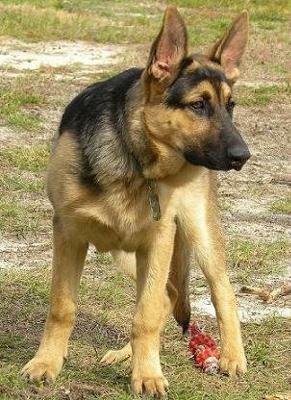 Here is our GSD, Ranger. He is 6 months old and a ball of energy!! GSDs have been in my family for years and now it is my turn to have one! He is a challenge in the stage he is in right now but I love him lots! We are training him to the best of our abilities and he is incredibly smart. So, I am always taking pictures of him and below is the picture that I think is the best one that I have right now.